Eden Botanicals has been around since 1985. I’ve only ever seen people say good things about this company. The fact that they’ve been around for 30 years and have a seemingly impeccable reputation made them a company that I was happy to take a closer look at. I received products free of charge from Eden Botanicals in order to write a comprehensive company profile that includes my personal experience with the oils/products. This post contains affiliate links, which means that if you click on one of the affiliate links, Marvy Moms will receive a percentage of any sale. This does not affect the amount you will pay for an item or service and in no way changes opinions expressed by Marvy Moms or Marvy Moms writers. For more info, see Marvy Moms Disclosure Policy. Other Products Sold: Essence Blends, Carrier Oils, Hydrosols, Diffusers (including skin patches), Sample Packs, Books, Occasional Classes with Experts such as Jeanne Rose and Robert Tisserand. I absolutely love the High Elevation Lavender and Ruby Red Grapefruit from Eden Botanicals. Patchouli is not usually one of my favorites, but I actually don’t mind this one so much. I wouldn’t want to use it without blending it with something, but it’s not bad. Vetiver is another one that I don’t like much on it’s own, but the grounding properties of Vetiver make it a nice addition to blends that I am drawn to. The tea tree has an expected camphorous smell. I especially like the scent of the Essence Blend samples that Eden Botanicals sent to me. They have a sweet perfume-like scent that would be perfect for natural fragrances. I like that their website lists what is in each of the blends, including what percent of the whole blend is essential oil versus carrier oil. This makes it easier to decide a final dilution for a fragrance blend. I’m thinking of using one of the Amber Essence blends to create a roller bottle. One of their customers says that she has been using the Amber Essence blend for about 20 years. I can see why. As stated in the first question below, Eden Botanicals does not put orifice reducers on their bottles. They make them available as a separate purchase, but they are not standard. They were kind enough to send me some reducers as well as disposable pipettes. I can see the benefit to not having the reducers for people making big batches of products, however I don’t see how that applies so much to the smaller sized bottles. If someone is using the oils commercially, then they would typically be buying in much larger quantities. A bottle with no orifice reducer makes me much more nervous about opening the bottle. I’m so used to having them there, that I’m afraid I’ll forget and be careless enough to cause a spill. This is even more of a concern with people (like me) with small children that may become curious and open a bottle. There is a much higher potential of disasters when the oils can so easily spill without an orifice reducer in place. If you order from Eden Botanicals, I highly recommend buying enough orifice reducers to put on your bottles. It’s not a reason not to order from them, but something to be aware of just the same. I made sure to put the orifice reducer in place before I used their tea tree to make up a respiratory inhaler. Is Eden Botanicals dedicated to supplying essential oils to the aromatherapy practitioner market and educated public? Is Eden Botanicals on the small size and not a large corporation? “Eden Botanicals is a privately held company, a small tight-knit group of aromatherapy and natural perfumer enthusiasts. Despite our small size, we pride ourselves in offering excellent customer service. We are always happy to answer your questions, either by phone, email or the Aromatherapy 101 section of our website. Is Eden Botanicals owned by an aromatherapy practitioner or essential oil specialist? “We work with small farms around the world, as well as with very reputable distillers and processors who procure their plant material from smaller farms, and larger growers who process their own oils. We have established very strong working relationships with these individuals – most for decades. Every oil we bring in must meet our standards before we sell it to our customers. We trust our growers and processors to keep this level of quality. Can Eden Botanicals readily supply a batch-specific GC/MS spec report on each essential oil it sells? “Many of our distillers supply up-to-date GC/MS reports on the oils we purchase. However, some distillers do not provide a GC/MS with every batch of oil we receive. If you see a COA (Certificate of Analysis) with the components listed and no percentages on our website, this means that we have a GC/MS on file that doesn’t apply to the specific batch we currently have in stock. We don’t make false claims about the level of constituents in an oil without having the analysis to back it up. This gives a general overview of what constituents the oil contains. Unfortunately, some of our suppliers do not provide any GC/MS information at all. This doesn’t mean that they are trying to hide anything from us, but more likely that they don’t have access to the proper equipment to perform the test. These are suppliers that we have worked with for a number of years, and we have found them to consistently produce high quality oil. That being said, a GC/MS is now one of the requirements we have when sourcing new oils. Is Eden Botanicals readily able to provide material safety data sheets (MSDS) as needed? Does Eden Botanicals have a strong unquestioned noncontroversial reputation in the field? What makes Eden Botanicals different? Eden Botanicals has an amazing variety of essential oils (including absolutes and CO2 Extracts) and many that I’ve never even heard of before. Some of the ones I’d love to try include Butter CO2, Beeswax Absolute, and Tonka Bean. They also have Yuzu which is a citrus oil I’ve been wanting to try, but not many places carry it. The free or low-cost samples would be the perfect way to try these oils. I love that they have sampler packs of Frankincense & Myrrh, Jasmine, Lavender, Neroli, Patchouli, Rose, Sandalwood, and Ylang Ylang. 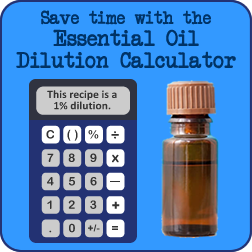 This is an economical way of trying variations and really getting to know a specific essential oil in the many different ways it’s available. Some of the samples are tiny (6 drops), yet more than enough to make smart future purchasing decisions. The Eden Botanicals website has some good basic information, including an FAQ section that has definitions for things like essential oils, Absolutes, CO2 Extracts, Organic Extracts and Hydrosols. They have a long recommended reading list, including many books that they do not sell. They also have a blog that has some recipes and general aromatherapy information. In October 2013, they wrote an article about why they stopped using the term “therapeutic grade” to describe their oils. I love that they made this change and that they were so open about it. Each essential oil on their website has an overview of the oil as well as information about its aromatic profile, appearance, suggested uses, blending suggestions, a list of other oils it blends well with, and safety considerations. I do think that some of their safety information could be updated. Since they are an older company I have a feeling that some of the descriptions were written before current safety information was put out. For instance, the information under Eucalyptus, Narrow Leaf (Eucalyptus radiata) states under safety information that, “Great all-purpose oil, antiseptic, antiviral, anti-inflammatory, and expectorant. Camphor-free, it is an excellent respiratory remedy, especially for children and elders.” Eucalyptus radiata may not contain camphor, but it is close to 70% 1,8-cineole which is shown to slow down breathing to a dangerous level in small children. Menthol can have the same effect, however, their description of peppermint contains the safety considerations of “Avoid use with small children, elders, epileptics, pregnant and/or nursing women.” A little better, but it would be nice if they could also include the “why” of these precautions. Eden Botanicals makes the statement that, “As always, we promise our oils are 100% pure and natural, genuine and authentic – 100% satisfaction guaranteed.” From what I’ve experienced with them so far, this seems to be true. 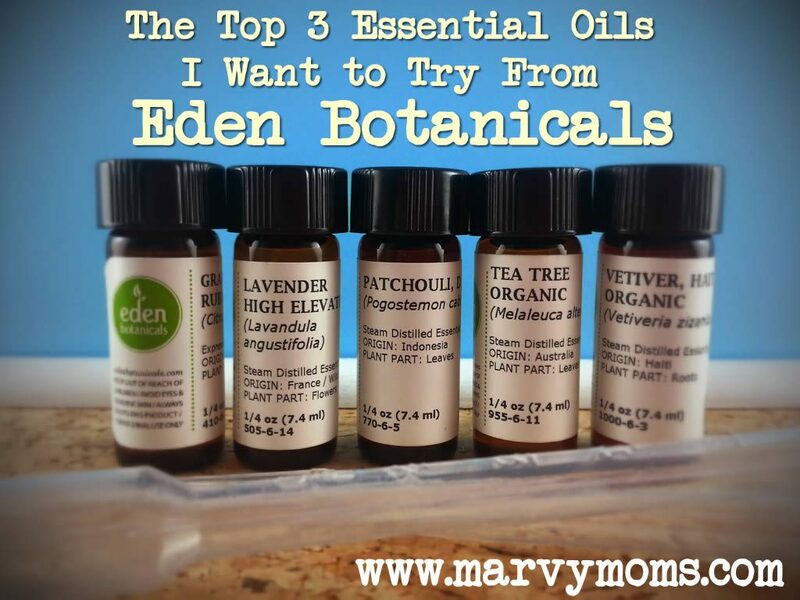 Looking at all the oils that Eden Botanicals has on their website makes me want to swoon. Cocao absolute? Vanilla absolute?! Coffee bean oil?!! Aahhh, I soooo want to smell these. Another big plus about them for me is that they carry quite a few organic EOs. Thank you for the review. I really get the feeling that they are a very high quality company. Do you know Eden Botanical’s policy on chemicals and pesticides? The organic certification is often just an added expense, but I’d been interested to see if they use any chemicals or unnatural methods or products on their sources. I love the prospect of samples, it’s so hard to commit to buying a whole oil when you don’t know if it works for you! Could you possibly interview Barefut? I only found them through a group where someone posted about them having a free oil (just pay $3.99 shipping), and I can’t find all that much info on them. I’m a new oiler, but I’ve been researching for 5 months (made my first purchase a couple weeks ago of just 3 basic oils), and I like that I now have a trusted variety of companies to choose from! !